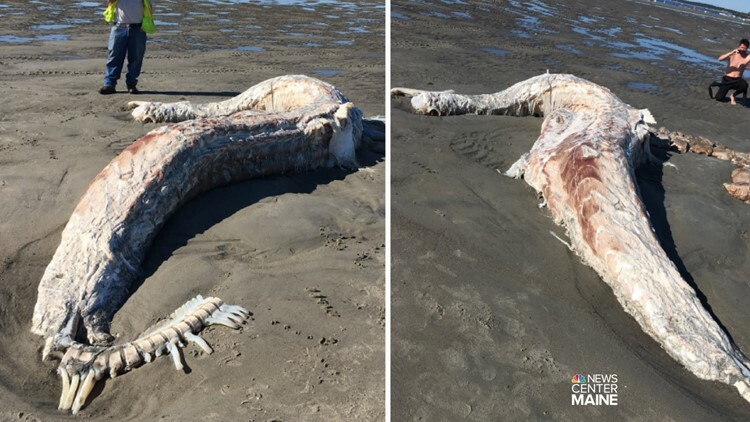 The decomposed carcass is hard to identify, but experts say it is not a whale but some species of shark. 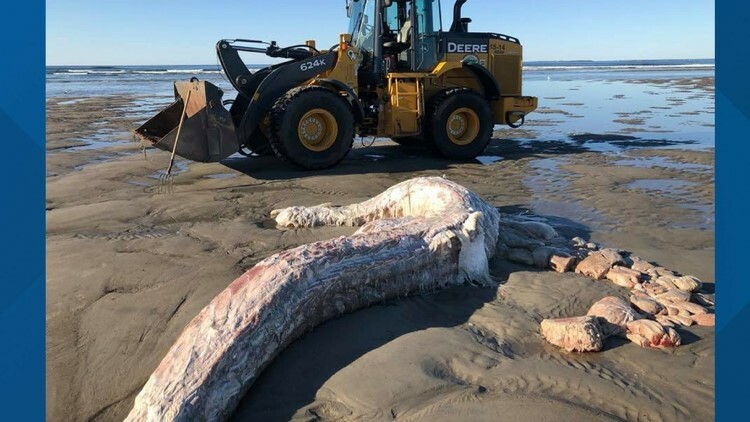 SCARBOROUGH (NEWS CENTER Maine) — A mysterious creature washed ashore at Higgins Beach Thursday morning in an advanced state of decomposition. Scarborough Animal Control Officer Chris Creps said the bad shape of the carcass made it hard to identify the large creature that was estimated to weigh 500 to 600 lbs, 15 feet long and 4 feet wide. Experts from Marine Mammals of Maine said the carcass was that of some species of shark and not a whale, as some beach-goers had speculated. 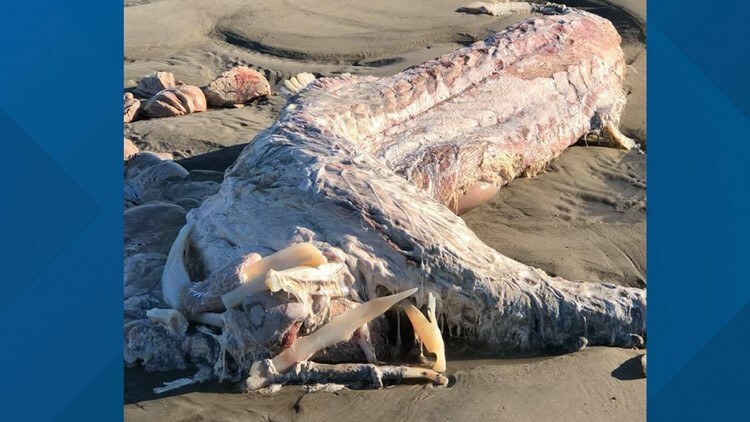 "Some blob of something had washed up on the shore," said Chris Blair. "It was pretty gross." Blair said he and his son Cooper walked up to the carcass and took off a piece. "It smelled like a bad, hot day at a fish market," said Blair. "It was pretty foul." The Public Works Department used heavy equipment to remove the shark species and are taking it to a nearby landfill to bury it. Public Works crews determined the shark had been floating in the water dead for a while. A shark expert from the University of New England, Dr. James Sulikowski, said based on its location in Maine, it could only be a species of whale, or a basking shark. "It's something that's not unusual, and it's too bad that we didn't get to take a look at it because those things are kind of cool to investigate," said Dr. Sulikowski. He said that whales typically float due to their buoyant blubber, and that sharks are more dense and typically sink to the ocean floor. Sulikowski said while he would have liked to see it in person, it was best that the Public Works crews take it away to be buried for the safety of beachgoers. Check out some of the videos and pictures that Chris Costa posted here.